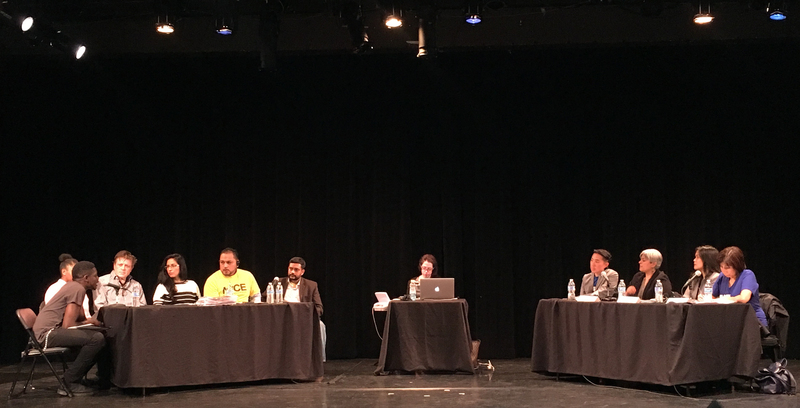 Last night, several of your colleagues from the nonfiction television industry gave testimony at a hearing held by the Office of Labor Policy and Standards, in partnership with the Mayor’s Office of Immigrant Affairs and the New York City Commission on Human Rights. These commissioners are eager to hear about major issues affecting NYC’s freelance workforce, including wage theft, discrimination, scheduling problems, health and safety issues, access to paid sick leave, and freelancer payment issues. Your colleagues certainly got their attention, telling stories of fake time cards, no paid sick leave, and driving on shoots after only a couple hours of sleep. Our participation in the hearing is garnering attention as we continue to put these issues on the map of city officials and build momentum to collectively push for basic standards in this industry. Check out this article, highlighting our testimony!